Cue the revamp of my favorite opening sequence. Disney live-action adaptations have a way of uniting people of all ages to reminisce and also to discover for the first time. As the temperature at our respective homes begins to climb toward the thick humidity of the jungle, we feel it's the perfect time to share our opinions on Disney's latest: The Jungle Book. As I covered last week, I spent much of my childhood imagining myself traversing the jungles of India along with Bagheera and Baloo. When I first heard that they were making a live-action adaptation of The Jungle Book, I panicked. Would this sully my childhood memories? Naturally, I put off seeing it for a few weeks. But then I finally did see it and was amazed. I honestly can't find a problem with any of the casting. Neel Sethi was beyond perfect. I am quite impressed that such a young actor remained focused with all of the green screen that must have happened. He captured Mowgli's precocious nature in a way that made my inner tree climber smile. Ben Kingsley brought the Bagheera from my childhood imagination to life (perhaps even more accurately than the original). Scarlett Johansson's Kaa made my skin crawl; her femininity made the character much more sinister than the voice of Winnie the Pooh. I was so happy that the role of the wolves was fleshed out more in this adaptation. Giancarlo Esposito and Lupita Nyong'o were wonderful choices for Akela and Raksha. I loved that Grey Brother was featured as well; in the novel Grey accompanies Mowgli for the rest of his life. You underestimate my soft spot for canines. 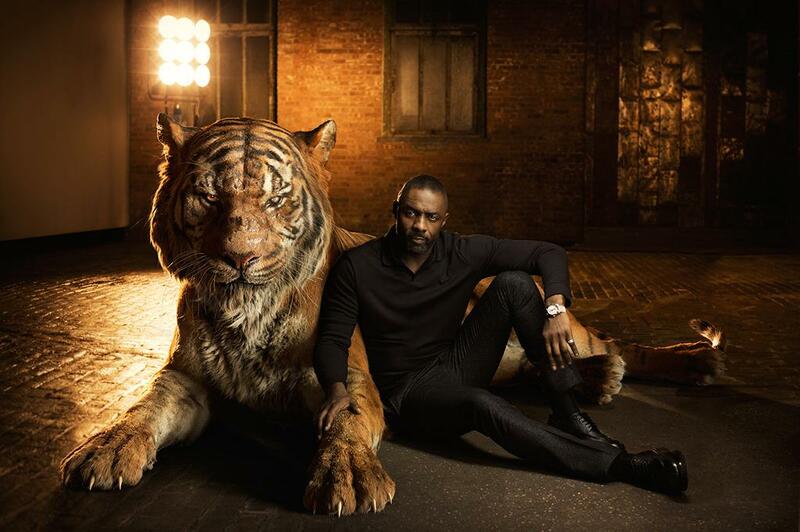 Idris Elba made a majestic Shere Khan with believable motives. Instead of making him of complete evil intent, this adaptation showed Shere Khan as concerned for the safety of the jungle. Yes, his methods for securing that peace were indeed questionable, but in times of fear (rational or not), some choose to take drastic and sometimes cruel action. Then there's Louie and Baloo. The choice was made to portray King Louie as a Gigantopithecus. Orangutans are not indigenous to the area where The Jungle Book takes place, but historically this ancient ape was. I thought King Louie as a relic living inside a ruin was a good choice. I'm also impressed at how many times Christopher Walken fit the word Gigantopithecus into one song. You'd think having an encyclopedic knowledge of his own species would negate his need for the red flower. I was impressed that somehow, although slightly awkward, "I Wanna Be Like You" made the cut into the film. Especially it's feature in the end credits. I will always be afraid of King Louie and being kidnapped by the bandar-log. Bill Murray. Where do I start other than to say that when I heard he was cast as Baloo there wasn't even a moment's pause of doubt. I think there are certain people made to take a role, and he is indeed one of them. "The Bare Necessities" was far more comfortable than when I last heard him sing "Santa Clause Wants Some Lovin" with George Clooney during his Christmas special. I felt that he payed homage to the role as well as putting his own spin on Baloo for a new generation. Overall, this adaptation left me feeling warm and comforted. I feel that although some parts were a little intense, the filmmakers did a good job taming the live-action for younger viewers. I'd have to say that my favorite thing about this adaptation (other than the gorgeous scenery and soundtrack) was that there was no stupid "Water Jug Song" at the end. I would much rather have Mowgli finish his childhood in the jungle than be entranced by some girl with sparkly eyes. (And the elephants--I loved the idea that they were the guardians of the jungle). While I didn't watch the Disney movie as much as other children (I lived on a steady diet of the animated Rikki Tikki Tavi), I was very familiar with the story and songs. I went into the movie with low expectations (because, come on, there's literally one live character for the majority of the movie while the rest are CGI), but I was very pleasantly surprised. Every character was incredibly portrayed. My very favorite person was Bill Murray as Baloo, though I also really liked Idris Elba as Shere Khan. If you're a fan of the new live-action remakes, you'll definitely love to see this! If you're not a fan, this movie may change your mind. The Jungle Book was never a favorite Disney film while growing up. I had only seen it a handful of times (which in comparison to watching Sleeping Beauty and Beauty and the Beast daily doesn't amount to many times through). However, when I heard they were making a live-action version, I was desperate to see it. I love movies about animals, especially when they look real. Plus, the cast list looked amazing. 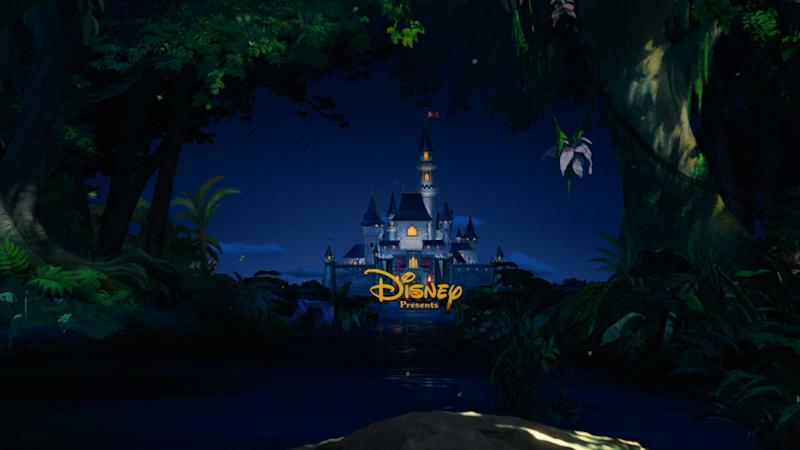 When the first trailer arrived, I had chills, and I thought for sure this movie would blow the other Disney live-action adaptations out of the water (or I suppose, the jungle). But when I sat in the theater to watch it, I found myself frankly disappointed. It might have been because I hardly remembered the original film and didn't realize how boring the story line for The Jungle Book is. It's really just Mowgli running around through the jungle and getting himself into trouble. Not even meeting Kaa or fighting Shere Khan was very exciting. And the ending felt so-so because it didn't follow the original story. When Disney decides to do live-action films, I keep hoping they will change something or give us a really interesting plot twist to hold on to, but every time, without fail, it's literally the classic film but live-action (or as close to live-action as CGI animals can be). It might have been because they barely did anything with the elephants, which were always my favorite (they didn't even talk) or that they skipped the cleverly hilarious vulture scene. (They took out the Beatles? Seriously?!) Or even that they claimed it wasn't a musical, yet they kept two of the songs for no apparent reason. I completely understand keeping "Bare Necessities" to be reminiscent, but the King Louie scene was agonizing to watch. It might have been that I was very put off by the animals that looked super realistic yet talked (though I'm perfectly fine with Narnia, so I'm not sure why this movie was awkward for me). And I'm still miffed that Baloo isn't a sun bear. They call him a sun bear in the film, but that is not the body of a sun bear! It might have been because as an adult and someone who likes to follow the rules, I can see that Shere Khan may be evil and mean and a big bully, but he was actually just trying to follow the law of the jungle. (That is an argument I never thought I would make: Shere Khan is misunderstood.) Plus, of all the animals in the film, tigers are my favorite, and I hate that they're always depicted as evil beasts. Tigers are gorgeous creatures. There wasn't anything particularly wrong with the film. The jungle setting was gorgeous. The voice-acting was spot-on and spectacular. Neel Sethi was adorable and did a great job as Mowgli. I just was not entertained. I found myself bored and hoping the movie would be over already. Maybe I've outgrown some of the classic Disney stories. (I'm also annoyed with movies that depict humans as "oh so evil." Dude, a human wrote this story/script and directed this film.) Overall, The Jungle Book was exactly what I was expecting yet nothing at all like I was hoping. There were good elements that I'm sure die-hard fans of the classic film will love, but for someone who was so-so on the classic film, it was about what I expected. Maybe the live-action Beauty and the Beast will reignite my Disney magic. As a child, The Jungle Book was one of my favorite movies ever. 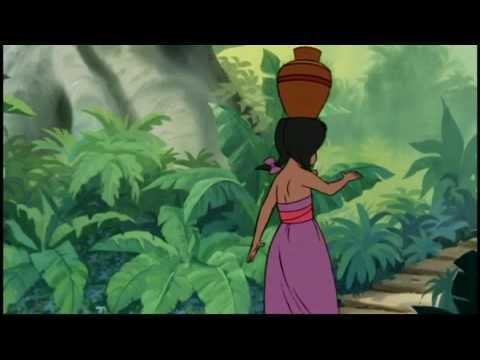 I fondly remember singing "The Bare Necessities" with my dad and pretending to be Baloo and Mowgli. So, when I found out that the live-action remake of The Jungle Book would be coming out on my 20th birthday, I decided that's what I'd be going to see. In a packed theater full of children, I said goodbye to my years of teenagerdom while watching this movie. I once again revisited the beloved places and characters from my childhood even more vividly and realistically than before. While I was slightly worried about how it would compare to the original, I went into the experience with an open mind. I only had one caveat: if they didn't somehow incorporate "The Bare Necessities," I wouldn't be happy. C'mon Britches, did you think Old Baloo would let you down? Thankfully, they did put it in, and they also managed to incorporate all the things I loved about the original movie. I wasn't sure how they'd manage to bring in all the songs and fun moments. (After all, how do you recreate an army of elephants in real life?) However, they managed to hit upon every single thing I wanted them to. 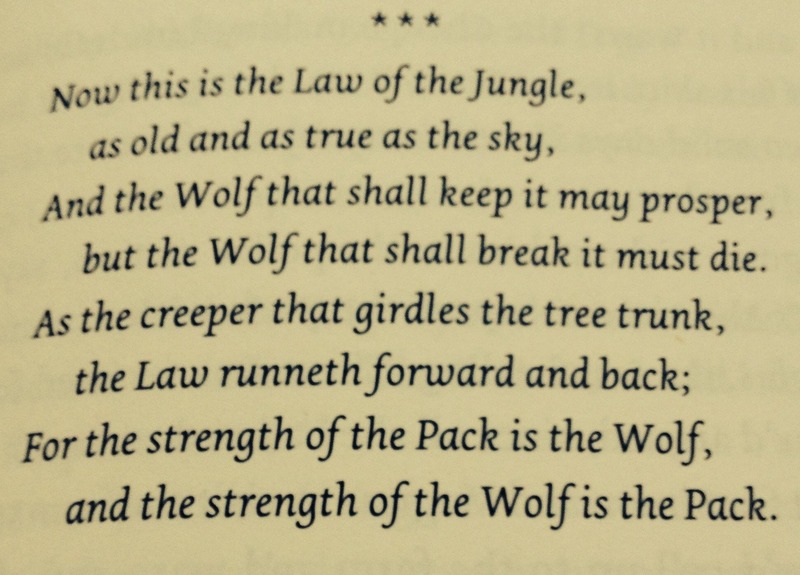 The movie also included new elements, such as Mowgli's wolf family and the wolf mantra, which I loved. I also loved the majestic allure of the elements and all the many talented voice actors. Bill Murray took me a few minutes to warm up to, but he was absolutely fantastic as Baloo. I loved Mowgli's parents--Lupita Nyong'o and Giancarlo Esposito were amazing. Mowgli himself was one of the highlights--Neel Sethi brilliantly acted him and brought Mowgli to life in an adorable and winsome way, balancing the cuteness and maturity both required for the role. It was slightly eerie for me to see Christopher Walken as a giant monkey, but other than that, I had no complaints. The Jungle Book was a charming adventure, just like it was when I was younger, and I'm forever grateful for that burst of childhood nostalgia I got while watching the remake. It was a fitting way to say goodbye to my teenage years and enter my 20s. And, to be honest, it was just plain fun. Simply put, I adored it. If you're on the fence about seeing it, forget about your worries and your strife--give it a try. The Jungle Book was everything I hoped... and more. Now who's ready for Andy Serkis' adaptation scheduled for 2018?